These books will help you rethink your approach toward people, strategy, execution, and cash. Pick-up copies and out-read (and out-compete) the competition today! Patrick Lencioni is the most prolific leadership author of our time. 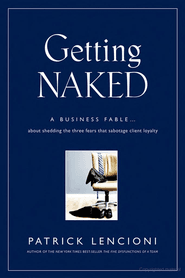 Best known for his timeless fables, including Five Dysfunctions of a Team, Death by Meeting, and Th e Three Signs of a Miserable Job, he’s penned his eighth classic entitled Getting Naked. Though focused on helping professional service firms create more customer loyalty, it’s a powerful book for any leader who wants to build trust. In order to build trust, Lencioni borrows from his Five Dysfunctions model the idea that leaders must be vulnerable. His book flushes out this idea of vulnerability or “getting naked” as he calls it, based on a set of rules including: 1) Tell the Kind Truth – deliver a difficult message but do it with dignity and humanity 2) Enter the Danger – fearlessly deal with the issue everyone else is afraid to address 3) Celebrate Mistakes – no one likes to look dumb, but it happens and its best to admit and move on Lencioni has several more rules for getting naked – perfect for the summer heat – and building trust. As a follow-on to my favorite “how to” strategy book, The Inside Advantage, Bob Bloom tackles the biggest challenge yet to face business – that the customer knows more about your products and services (and your competition) than your own people! 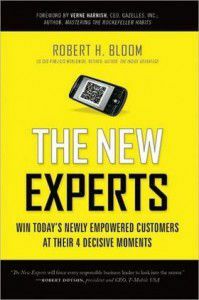 In his book appropriately entitled The New Experts, Bloom starts with this fact and outlines four specific moments when companies must connect with the customer or risk losing them to the competition. And Bloom knows what he’s talking about, having directed the launch of numerous brands that have become household names including Southwest Airlines, Nestle’ JuicyJuice, T-Mobile US, Novartis’ Theraflu and Triaminic. 4) Multiplier Moment where you garner repeat, advocacy, and referral behavior Again, what I love about Bob’s book are the practical “how-to’s” he provides in doing all of this. Th e simplest of execution tools – the checklist – is what is needed in an exceedingly complex world. However, professionals’ egos reject the need to be reminded how to “do their job” resulting in needless mistakes that can cost customers and lives. 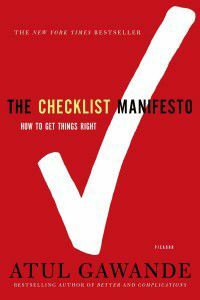 Harvard Medical School professor and gifted writer for the New Yorker, Atul Gawande, has taken a boring subject and brought it alive in his latest bestseller The Checklist Manifesto: How to Get Things Right. This time he goes beyond the medical fi eld and points out how ineptitude – where we have the knowledge but fail to apply it – is rampant throughout all organizations. After reading the book, the first list I created was for the family. Living in Barcelona we have many opportunities to visit the beach. Yet, inevitably, we forget something – swim goggles, keys, and even an occasional bathing suit! Contrast this with the preflight checklists commercial pilots use to keep us all flying safely 99.9999…% of the time – so many 9s that those of us who fly for a living are around to tell about it. From the moment you read Gawande’s opening stories of life and death in the emergency room, you’ll be hooked. Read and then make your checklists at home and the office. Demographics drive markets. And like the baby-boom provided decades of product and service direction to companies around the world; this demographic trend can’t be ignored. In the book Kotkin outlines significant trends regarding housing, energy, and transportation. 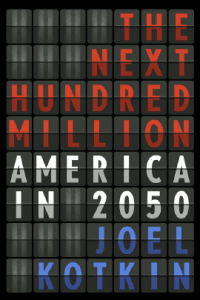 He even predicts a resettling of America’s Heartland. If this isn’t reason enough, read Kotkin’s book to counter all the doom and gloom we’ve been fed lately.